Pablo Embon – Interview (2018) | The Ark of Music – The best music in the world…you never knew existed. 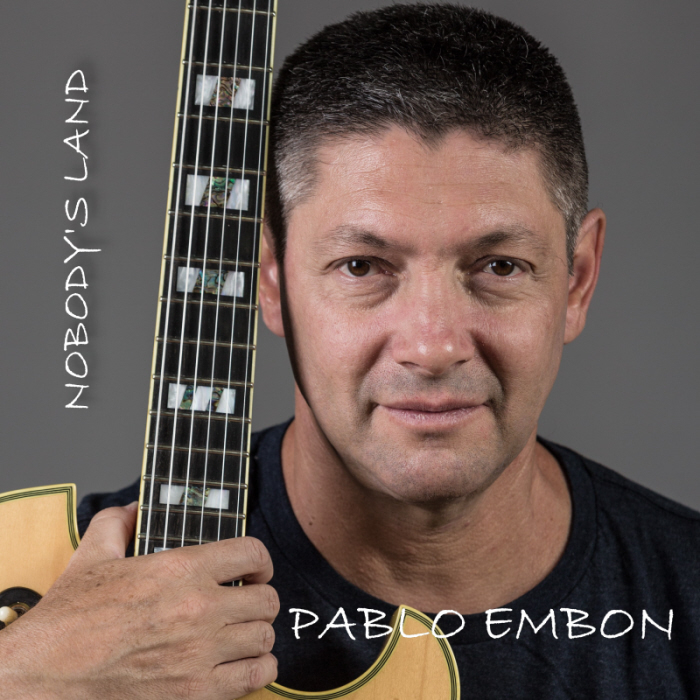 Below, you can read our interview with Pablo Embon, and listen to his album/single, Nobody’s Land. Check out our full music review of Nobody’s Land, HERE. Q: First, it’s great to have you back on our musical radar! We first interviewed you on November 7th, 2016 for your previous album, Funky Side Of The Road. Since then, you’ve managed to maintain an incredible pace of musical creation, releasing two more albums: What Comes Into Play (2017), and your newest collection, Nobody’s Land (which, by the way, is our favorite of your work thus far!). Can you find a way to explain to us what is driving your creative spirit? A: I cannot find any specific drivers for creativity. I think more in lines of what we are and what is encoded inside. I have never been in a situation in which I would be planning to be creative at a certain moment to start out something new. Most of the times, it happens spontaneously when studying music or when I grab something to play in the studio. Some of tracks I love the most started out when playing some hand percussion. Everything else that happens afterwards is the shaping of a general idea. I love arranging music and this is, for me, one of the most beautiful and stimulating activities during the music production. The only way of keeping me “not creative” is just locking me out of the studio. Q: Before we talk about your new music, we’d like to find out more about you. Tell us about your family life? A: I am married. I have a beautiful 7 year old daughter who, incidentally, happens to be the one who picked Nobody’s Land release date. I live in a Kibutz in Israel, which is a closed community settlement and provides a great environment for raising a family. I also have family in Argentina, my mom and my daughter who follow up very closely on my music career, and whom I would like to visit more often if I could. Q: You were raised in Argentina and now live in Israel. Do you ever get to visit back home in Argentina? A: Not frequently enough however I enjoy the visits very much. Besides my family, I have several musician friends with whom I used to play early in my career. Every time I arrive, we organize some gigs and long playing nights. This is something I do miss nowadays here in Israel. Q: Does music provide a living for you, or do you also have a job? A: I believe that for most independent musicians, it is very difficult to make a living solely out of music business. So I do have a job. I’ve been a Chemical Engineer in a semiconductor company for more than 22 years. I always try to find a balance between that job, my music passion, and family. Q: What keeps you busy when you’re not working on music, any hobbies? A: I like travelling very much. I have been recently in faraway places with my family such as Africa and Thailand in the last two years. My daughter keeps us also very busy, and I like the idea of going back to be a little bit “childish” and love being a kid again while spending time with her. Q: The title of your new album, Nobody’s Land, seems to have some deeper meaning to it, would you care to share that? A: Yes, it has. Actually the track, Nobody’s Land, was the one recorded first as an opening stage for the album. Nobody’s Land is a concept I use very much in my life to indicate that you are stepping into a zone that doesn’t belong to anyone, some sort of “inert place” if you will, in which you can do anything you like most, without others’ permission. That’s how I feel or perceive this particular album. I left off all the preconceived ideas on what I should be playing, how I should sound, and literally gave the leash away. It is, at times, a little bit scary as you may think that people may not like what they hear at first, but typically as you blend yourself in with the new idea, it starts becoming more familiar and approachable. I really hope that this is the message that will go through with this album to the listeners. Q: Wistful Smiles, and, Tell Your Story, are just wonderful pieces—probably our favorite of all your tracks. Can you break down for us what inspired these two pieces? What do they mean to you? What intention were you holding while you wrote and recorded them? A: Regarding Wistful Smiles, this is a song about those occasions in which you are going through those difficult times in your life but you still need to fake a smile on your face and keep going just to protect yourself or the people you love. A smile like this may deceive yourself or others but your eyes won’t. Tell Your Story talks about how we used to look at—and think of—people you don’t know (or hardly know) and how we put our minds to work to interpret people’s lives based on how they look; whereas there is typically an infinite reservoir of facts and unthinkable things that people experience in their life. I’ve been in that place before when, as per human nature, you try to understand everything about people and judge everything you really don’t know anything about—as opposed to saying: “Hey I’m here to listen, “Tell Your Story”. Q: Where and how often do you perform for live audiences? What has been your favorite venue to perform at? A: As a matter of fact, I have not been performing live at all recently. I used to do it in my youth several years back. I consider myself a composer. I just put messages on the table, reach out for people through the sound of my music. Incidentally, the satisfaction and ability of causing a positive effect in others is something that happens to me very often when I hear a listener’s feedback about how my music has changed their mood, given them optimism and energy in life. As a musician, that is all I can strive for, and it definitely brings me a lot of happiness. Q: Have any of your musical aspirations changed since we last talked? Any new goals you’ve set for yourself? A: I am now looking at music “architecture” very closely with a different pair of eyes. I looked at things that bring new sounds and experience to the listener. Example of this is, Infinite Raga, one of the tracks of my previous album, What Comes into Play, which was written using a Bhairav Raga, a specific scale subset used in Northern India. Also, Tell Your Story, and Unveiled, on this new album are written using Modal Harmony, which helps me expand my music horizon to the next level. 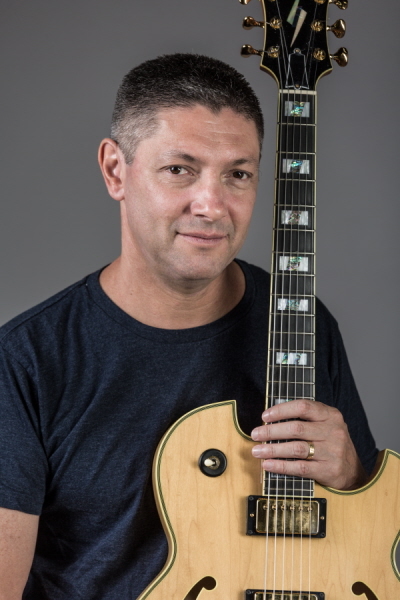 Amazing artists such as Brad Mehldau and Brazilian composer Egberto Gismonti are excellent examples of musicians who went through similar endeavors in their music career. A: I’d like to give a big THANKS to all the people who are there in support and enjoying my music. They are part of my personal success and the fuel to work even harder to be a better musician every day. And thanks again to The Ark of Music for having me.